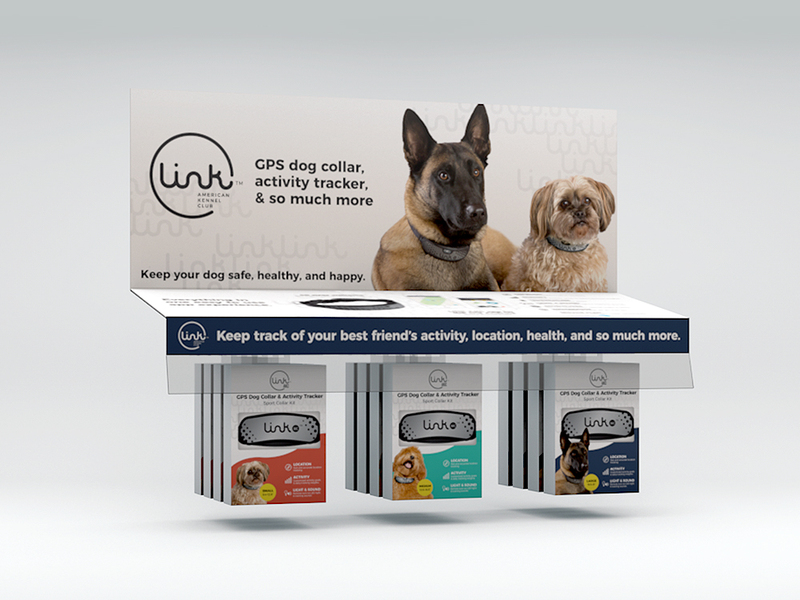 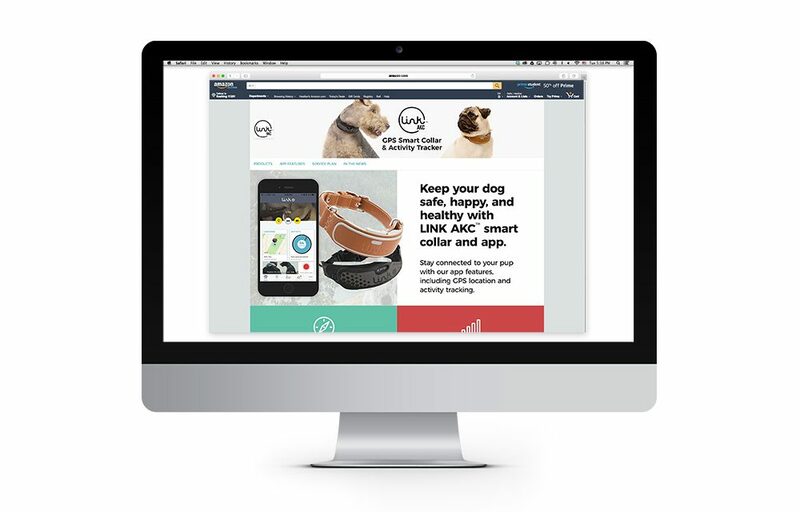 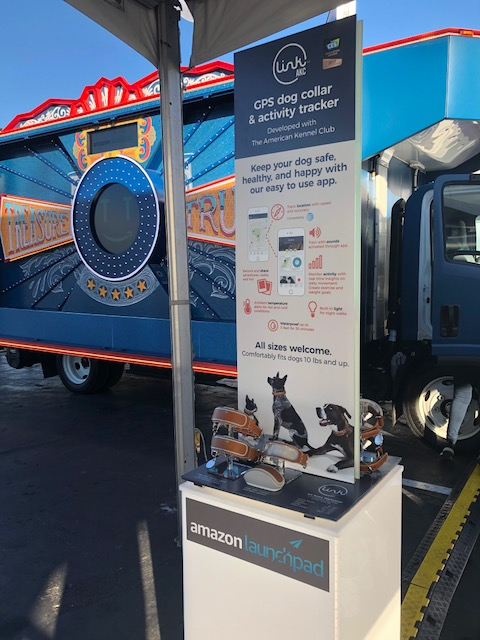 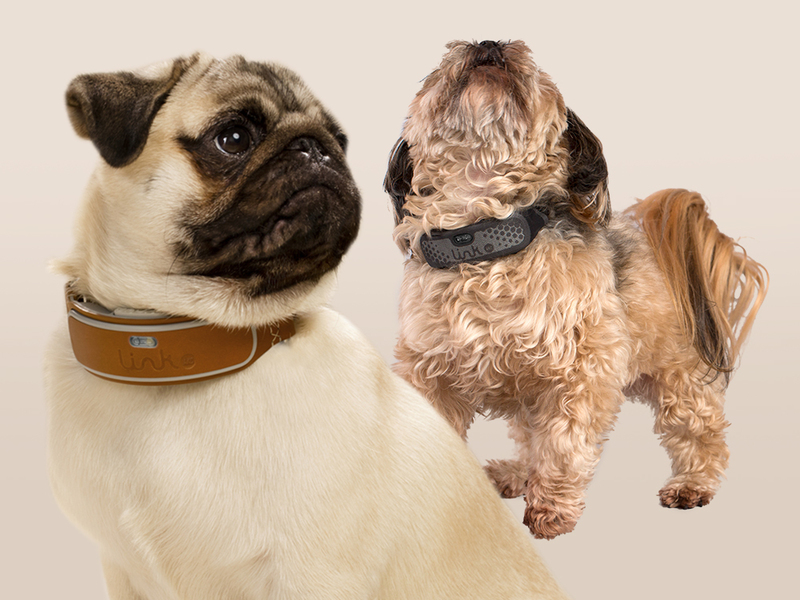 Link AKC, developed with the American Kennel Club, is a smart collar and app that tracks your dog’s location, activities and health. 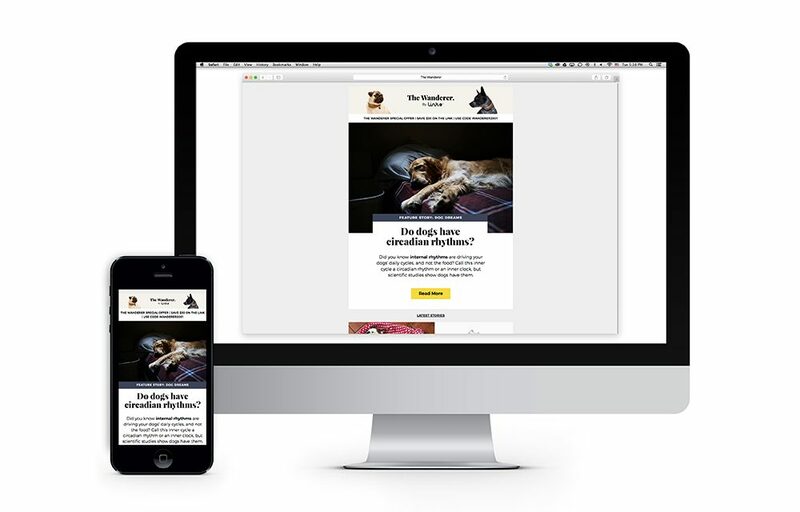 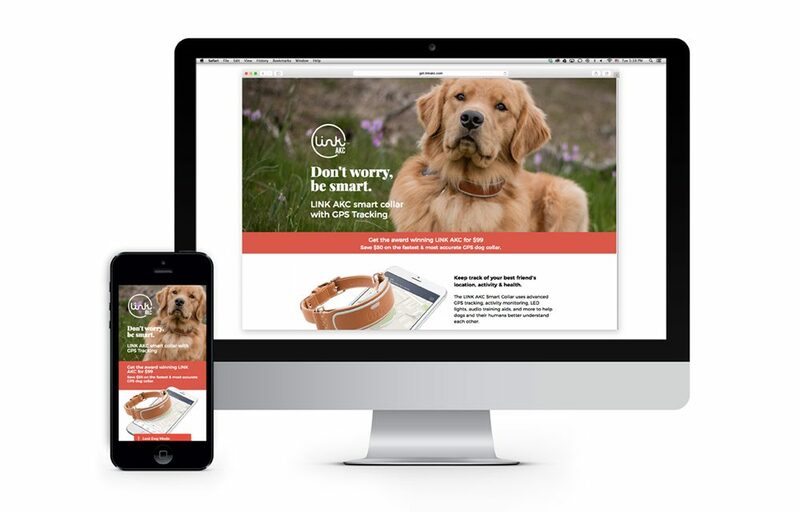 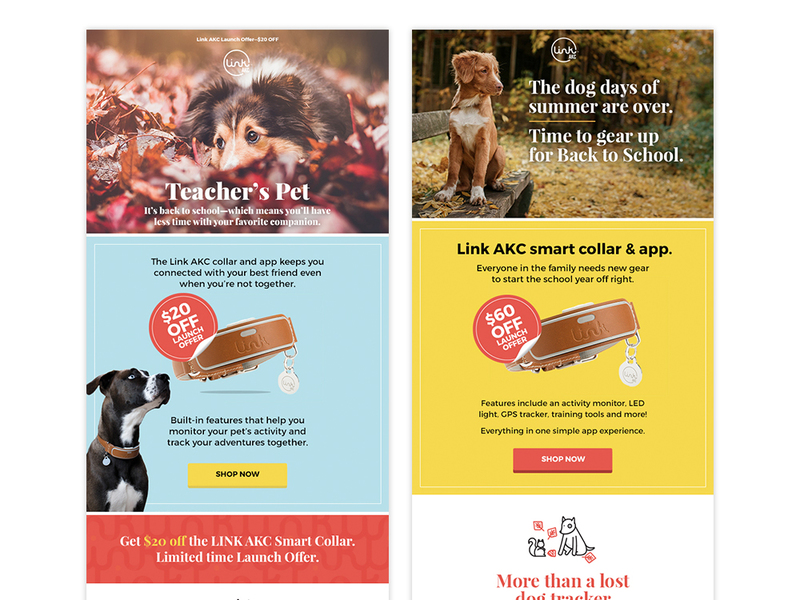 We work with Link AKC to drive sales and increase website traffic and engagement through the creation of the weekly digital newsletter, The Wanderer, targeted email blast campaigns, corresponding website landing pages, and social media creative assets. 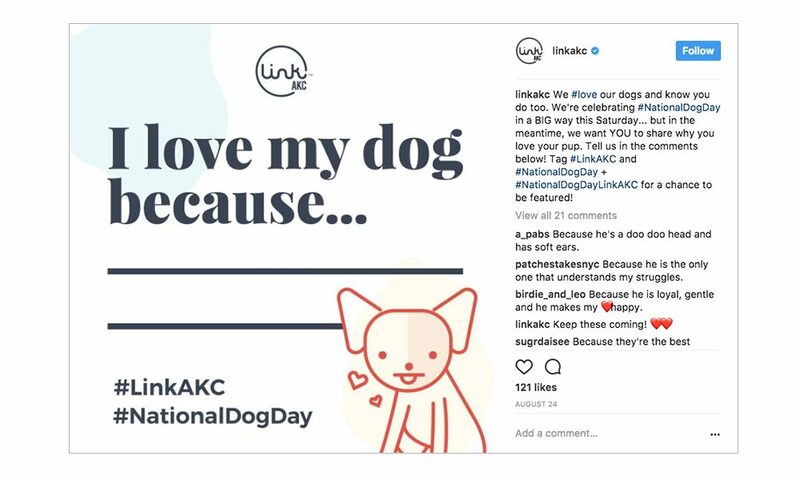 We work in collaboration with the Link AKC in-house sales and marketing team on strategic planning, generating content topics, content and articles, customer service and sales support materials.